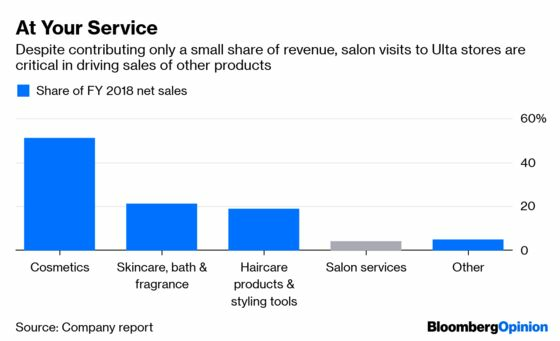 (Bloomberg Opinion) -- I wouldn’t blame Ulta Beauty Inc. executives if they were humming Katy Perry’s “Teenage Dream” around the office this week. The fast-growing retailer appears to be tightening its grip on teen shoppers, an important indicator of its ability to keep up its extraordinary run of growth. Analysts at Piper Jaffray survey teens semi-annually about their shopping preferences. 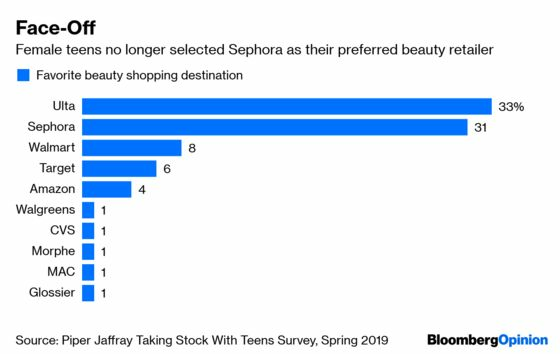 In their 37th installment of the research, published Monday, they found that Ulta for the first time surpassed Sephora as teens’ favorite place to shop for beauty products. Ulta’s splashiest recent move surely played a role in its popularity among teen shoppers: It began carrying Kylie Cosmetics, the makeup line started by “Keeping Up with The Kardashians” star Kylie Jenner, at its stores last fall. Scoring an exclusive on the Kylie goods was a major coup for Ulta. It’s among the buzziest new brands in the business, and it ought to have particular appeal for young shoppers. In the Piper Jaffray survey, Jenner was among the 10 celebrities cited as Generation Z’s favorites, alongside the likes of Ariana Grande, Dwayne “The Rock” Johnson, and Cardi B. No wonder Ulta said store traffic in the fourth quarter was boosted in part by shoppers wanting to try Jenner’s previously online-only beauty line in person. Piper Jaffray found that 90 percent of female teens said they prefer shopping for beauty items in stores over online. Yes, that’s right: Even a group that probably doesn’t remember life before iPhones has appreciation for stores, so long as they offer opportunity for discovery and experimentation. Other retailers hungry for Generation Z’s dollars should take note, and should try to adapt their brick-and-mortar spaces to cater to similar behavior. 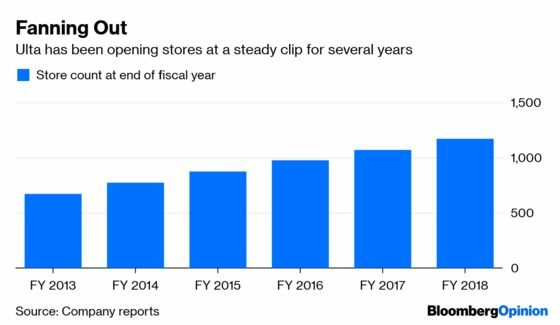 Ulta’s stores also will be a valuable defense against Amazon.com Inc., which is clearly ramping up its efforts in the beauty category, such as with its recently debuted Belei skincare line. Ulta’s impressive growth streak hasn’t been lost on Wall Street. 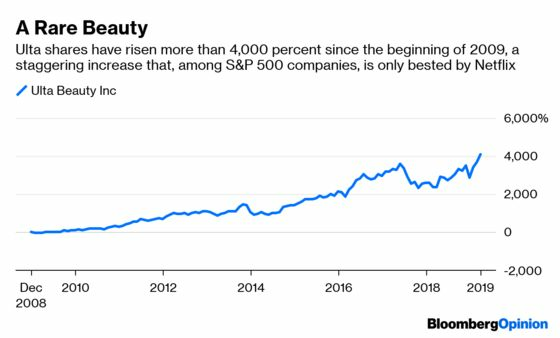 In fact, I was surprised to learn recently that only one stock in the S&P 500 Index has seen its shares soar more than Ulta since the beginning of 2009: Netflix Inc. I was also extremely surprised to discover Adam Sandler made the list, because I thought he hadn't been cool with teens since I was a teenager. But, I digress.